This photo was taken from an island in the middle of the Danube. 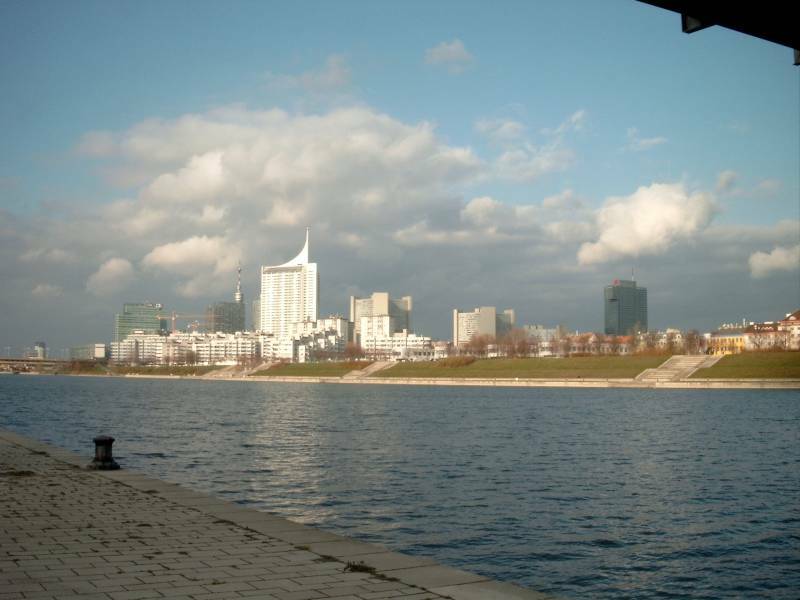 The "ultra-modern" buildings in this photo are on the north-east side of the Danube. The dark-gray building (right side) has rooms that stick out beyond the building's base.